You’ve probably seen ads for IBM’s SmarterCity initiative, a program that uses the company’s information technology to help municipal governments create healthier, more intelligent urban environments for their residents. 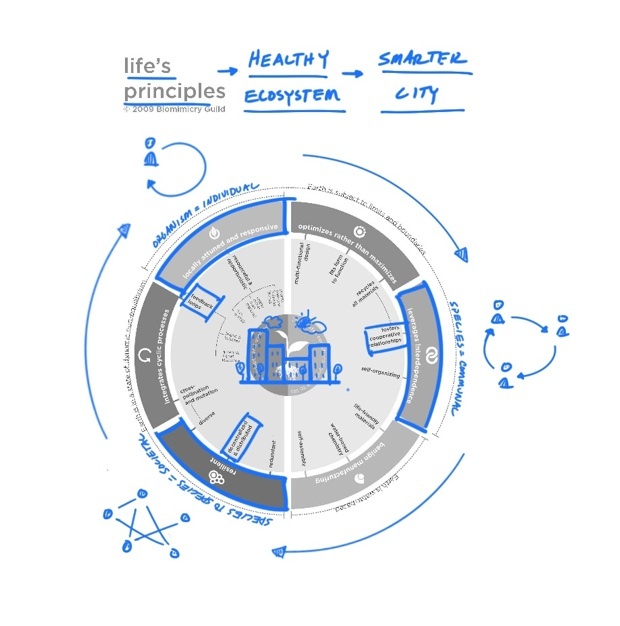 Using their ability to collect and analyze data, IBM is able to provide information about elements of daily city life ranging from weather and traffic to water usage and air quality. But what they’ve done with that data has largely been used to make policy and economic decisions. 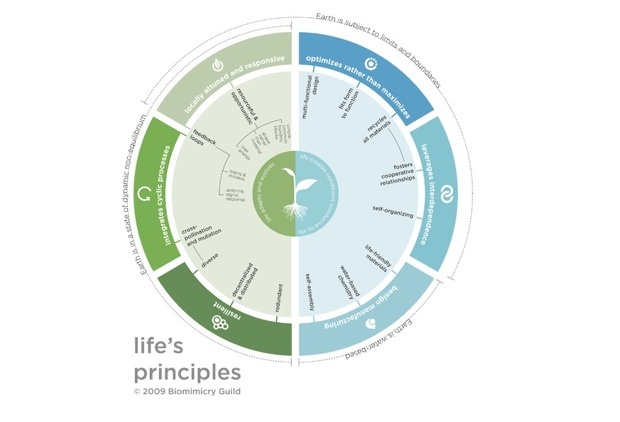 IBM appealed to our What Would You Ask Nature? biomimicry challenge, asking how they could use nature to understand how these overlays of information could help guide residents toward making better personal decisions for the good of the city. A New York-based team at Smart Design accepted their challenge. After having a discussion with IBM, and walking through some day-in-the-life exercises that explored issues facing urban dwellers, Smart chose to focus on water conservation. Because of the complexity surrounding its systems, water is often misunderstood, says Tucker Fort, Smart’s director of industrial design. “But unlike something like energy, it’s a finite resource.” Water was also something that residents interacted with everyday, and since IBM’s goal was to make cities more responsive and resilient, using a biomimetic approach for encouraging more responsible water usage could have a real impact when implemented across an entire municipal area. Smart zeroed in on urban water consumption to explore how nature could inspire relevant, everyday solutions for city inhabitants to conserve water. To immerse themselves in a biomimetic mindset, Fort, along with director of interaction design Ted Booth, and their team consisting of Whitney Hopkins, Colin Kelly, Anton Ljunggren, and Stephanie Yung, were introduced to the emerging discipline of biomimicry by their BaDT (biologist at the design table) Mark Dorfman. 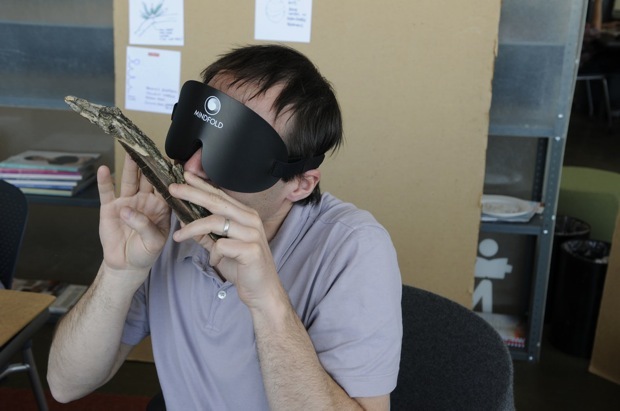 After a biomimicry primer, the team engaged in a blindfolded exercise where they were encouraged to smell, taste, touch, and listen to nature–anything that would break them of their reliance on vision. This is something Dorfman calls “quieting our cleverness.” “If I were to show you a pine cone, you would see it and immediately know what it is, and that might be the end of your curiosity and exploration,” says Dorfman. “But if you’re blindfolded and handed a pine cone, you’ll have to explore its shape, texture, smell, before figuring out what it is.” The hope is that this process will open the designer’s mind to viewing living things through a functional lens–a way that is particularly relevant to solving design challenges. 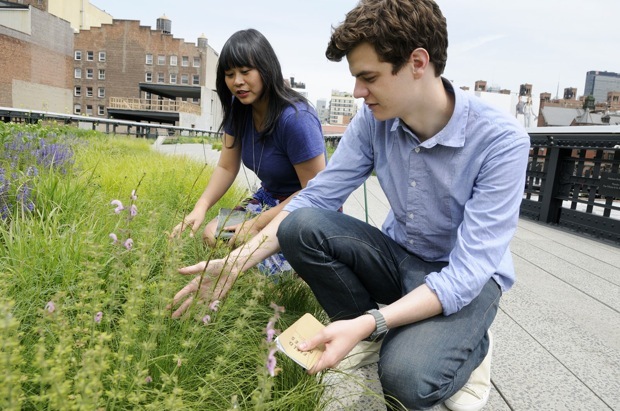 Visits to two urban greenways, the High Line and Hudson River Park, near Smart’s offices, provided an opportunity to use this sensual awareness while focusing intently on natural solutions. Reframing the challenge as a functional approach, the designers asked themselves questions like “How does nature store water?” and “How does nature collect water?” Through Dorfman’s storytelling and by looking at examples on the AskNature.org site, they learned about examples that ranged from the corky tuber, a giant 700-pound water-filled tuber that grows under the ground yet throws out a few tiny shoots on the surface to alert animals about its water levels, to the ways that camels self-regulate water consumption due to availability. to ensure you have the most current representation. But here’s where Smart tapped their own knowledge of human behavior: “People hate the word ‘boundary,&apos;” says Fort. There’s nothing that frustrates people more than strict regulations and limits. The team realized to make their solution appeal to people, they needed to create “soft boundaries of encouragement” for water conservation: Using IBM’s data, Smart could design feedback loops on each layer of the city’s ecosystem that would create boundaries for individuals, communities, and cities. Click the image to view Smart’s interpretation of the Life’s Principles for urban ecosystems at a larger size. communal (species), and societal (species to species). For the individual layer, Smart wanted a non-intrusive, yet tangible way to show residents how much water they were using. They created the Heartbeat Faucet, which provides feedback by pulsing after dispensing every 12-oz. cup of water–approximately 20-30 times a minute for the typical faucet. This metered pulse would allow users to see and feel how much water they are using each time they turn on the faucet, informing everyone in the household about their behavior. The faucet would also give IBM point-of-use metering for real time analytics. For the communal layer, Smart focused on the concept of “leveraging interdependence,” or creating cooperative behavior. For this solution they looked at the idea of a Communal Reservoir, which would encourage groups to work together. In an urban environment, Smart decided, a reservoir would translate to the water used by an entire apartment building: Water usage is typically metered for a whole building but each resident often has no idea how much or little they’re contributing to the bill. This program would track your building’s water usage during a fixed time period and give a community reward–from municipal tax credits to flowers for the lobby–if you come in below your target. The elevator could then serve as the “town square,” with displays that show the building’s reservoir level and allow the community to modify behavior on daily basis. survival. “When people used to have to pick up their water they could see the stream or the well, and know to conserve,” says Booth. “We have to real connection to that.” They created the concept of MicroParks, tiny greenspaces throughout the city located next to fire hydrants retrofitted with solar powered wireless water metering systems. The MicroParks’ water feed could be manipulated to reflect the cities future water supply–a lush MicroPark would communicate a healthy water supply and a withering MicroPark would let residents know that conservation is critical. These miniature green spaces can forecast city water supply health and make behavior-changing daily connections with people in a positive way.